The Agricultural Research Service (ARS) is the principal research agency of the U.S. Department of Agriculture (USDA). Thousands of scientists and staff work on between 850 to 1,000 research and development projects within 20 programs related to nutrition, food quality, animal production, crop production, and natural resources and sustainability. The agency’s goal is to provide the public with timely information from studies that will benefit consumers and the private agricultural sector. 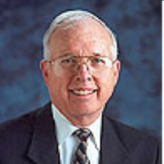 The current Administrator of ARS is Edward B. Knipling. The earliest predecessor to the Agricultural Research Service (ARS) was the Agricultural Department in the U.S. Patent Office, which was created in 1839 to collect statistics, distribute seeds and plants, and compile and distribute information. These duties were brought under the Department of Agriculture when the USDA was created in 1862. That year the agency issued its first Research Bulletin on the sugar content of varieties of grapes and their suitability for wine. In 1868, the USDA first began research on animal diseases, with particular focus on hog cholera, which caused devastating losses to farmers at the time. The USDA started to analyze the chemical composition of foods at the turn of the century, when the first studies into food nutrition content and the effect of cooking and processing were conducted. Soil conservation was another focus of USDA research at that time, when the first studies of the use of soil mapping to predict and control erosion took place. In 1942 the Agricultural Research Administration was established. That agency was called the Agricultural Research Service from 1953 until 1978, when many smaller bureaus were merged into a larger division that oversaw all research programs. In 1958 the National Seed Storage Laboratory, now the National Germplasm Resources Laboratory, was established for the long-term storage of plant germplasm collected around the world and used in research to improve crops in the United States. From 1978-1981, the agency was again reorganized as federal research staff under the Science and Education Administration (SEA) and later as agricultural research staff under the SEA. In June 1981, it was renamed the Agricultural Research Service under the USDA. Currently, genetic and DNA research dominates ARS research with the development of pest-resistant corn, fast-growing plants and fish, and animal genome research and mapping. In recent years, ARS has released databases on the components of food, including the Internet search tool: What’s In The Foods You Eat. 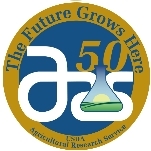 The Agricultural Research Service (ARS), which is one of four agencies in the USDA’s Research, Education and Economics (REE) area, is in charge of between 850 to 1,000 research projects in its National Programs that are designed to explore and resolve agriculture-related issues that affect the American farming industry and the quality of food consumed by Americans. Research is conducted at a hundred laboratories throughout the United States. The projects investigate matters of human nutrition and food safety and food quality, animal production and protection, the preservation of natural resources and sustainable agriculture, and crop production and protection. Part of its function is also to create reports and disseminate information to the American public regarding their research findings and recommendations. The ARS also conducts global research through its Office of International Research Programs. The agency also offers products and services including its National Agricultural Library, which provides information on alternative farming systems, food and nutrition, food safety, invasive species, technology transfer, water quality, animal welfare, and rural information services. Research Initiatives section and actively seeks partnerships with businesses, other federal agencies, state and local governments, and universities. Such partnerships are coordinated by the Technology Transfer Office, which has helped form more than 1,000 government and industry partnerships, and over 200 active license agreements with businesses. ARS crop production and protection research comprises 36 percent of the agency’s FY 2011 budget request or more than $430 million, making it the largest area of research for proposed funding. Environmental stewardship programs made up the second largest area of proposed funding at $240 million, or 20 percent of the budget, followed by food safety and nutrition programs at 17 percent, and livestock production and protection 14 percent. Finally, product and product quality research made up 10 percent of the proposed budget, and other programs comprised 3 percent. ARS also spent nearly $1.8 billion on grants from 2000-2010, of which 65 percent went to higher education institutions according to a query of USAspending.gov. In February 2008, the Agricultural Research Service (ARS) U.S. Sheep Experiment Station reached a settlement with the Center for Biological Diversity and the Western Watersheds Project that required the sheep station to analyze the environmental effects of sheep grazing under the National Environmental Policy Act and consult with the U.S. Fish and Wildlife Service on the impacts of the sheep grazing on threatened and endangered species in the area. The environmental groups filed suit over the presence of thousands of domestic sheep in eastern Idaho, arguing that the animals posed a threat to endangered native wildlife such as Rocky Mountain bighorn sheep, pronghorn antelope, lynx, gray wolves, and grizzly bears. According to the plaintiffs, diseases transmitted from domestic sheep threaten bighorn sheep herds. Lynx, wolves, and grizzly bears are also at risk from the sheep grazing by predator control measures, such as steel leg-hold traps, strangulation snares, aerial gunning and poisons, the groups argued. In an effort to reduce the threat of mad cow disease to the American cattle industry, the ARS has approved the results of a research project involving genetically modified cows that don’t produce the source of the devastating disorder. ARS scientists evaluated cattle that have been altered in such as way that they do not produce prions, the protein that can cause cows to develop bovine spongiform encephalopathy or mad cow disease. The ARS studied eight Holstein males that were developed by Hematech Inc., a pharmaceutical research company based in Sioux Falls, South Dakota. The evaluation revealed no apparent developmental abnormalities in the prion-free cattle. In 2005, Sen. Ben Nelson (D-Nebraska) launched an investigation after learning that the Department of Agriculture was skimming funds off of congressional earmarks. Nelson’s investigation found numerous offices guilty of “earmark skimming.” In many cases federal agencies were found to be taking cuts from earmarked funds for years, some for unrelated purposes as varied as staff salaries and postage stamps. Nelson asked the Congressional Research Service to investigate, which resulted in a finding that the federal government had no umbrella legal authority that allowed agencies to take a cut of each earmark and no overall standard for how much agencies should take. The amount taken from earmarks varied within an agency. The Agricultural Research Service, for example, took 10% of earmarks, while the Extension Service at the Agriculture Department took 4%. Prior to heading the Agricultural Research Service (ARS), Horn was the U.S. Department of Agriculture (USDA) acting undersecretary for research, education and economics, and had worked for the USDA for 24 years. He spent a year on leave from the ARS Administrator position after being asked to serve as Acting Deputy Undersecretary for Research, Education and Economics. During that period, current ARS Administrator Edward B. Knipling served as Acting Administrator of the ARS. After leaving the USDA, Horn served as the Director of Food, Agriculture and Water Security at the White House from December 2001 to June 2002. In 2006, he was named the Chairman of the Scientific Advisory Board for leading food safety and sanitation technology company, Produce Safety and Security International Inc. Prior to his role as Administrator of ARS, Ronald Dean Plowman was a longtime Area Director for the USDA’s Forage & Range Research Laboratory from 1972-1983 where he started several initiatives in the area of germplasm collection, evaluation, and utilization that led to FRRL’s international prominence. After leaving ARS, Plowman continued to advocate for the work of the laboratory and was given an FRRL Service Support Award in 2008 for his work as a private advocate. I want my tax dollars immediately revoked from US Animal Research Center in Nebraska. The New York Times expose on the abuse and murder of animals was horrifying and reminded me of the Nazis. I'm not an animal rights activist to the point that I think wild cats, abandoned pets should be euthanized. The Cabinet level director needs to be dismissed immediately and the Nebraska Center needs to be closed. The problems and mindsets are too far gone for recovery. All Department of Agriculture animal research needs to be reviewed to ensure humane treatment of animals, including whether USDA oversight is really delivering humane treatment of animals in our food supply. I also don't agree to have my tax dollars support meat production (the meat industry makes enough to do that; even if they didn't, increasing the price of meat would help all Americans to look for other alternatives). What happened to free market and competition? Companies need to do their own research and look for new areas of business as we decrease . The government has too much money if they can spend on this. Last, but not least when agriculture animals contribute over 20% to climate change and our world population is at 7B going to 9B without the capability to feed all those people, why in heavens name would be looking to increase our number of agriculture animals? I know that for every bite I eat of animal, other people can't eat. Animal protein is an inefficient food source. When we now know more than 5-10% animal protein in our diets are likely to result in cancer, heart disease, dementia/Alzheimer's, diabetes, and even many autoimmune diseases, it is inconceivable to me that many taxpayers would want to fund the meat industry. The meat and dairy industry has spent almost 40 years confusing the public on what is the right eating plan for health, fitness, happiness, and longevity. The meat and dairy industry is no different than the cigarette industry. The Department of Agriculture doesn't even have an email for feedback. Stop this cruelty to animals. Close this center. If money should be spent, spend the money on how to reduce the methane for cattle!